Why supplement with IP-6 & Inositol? 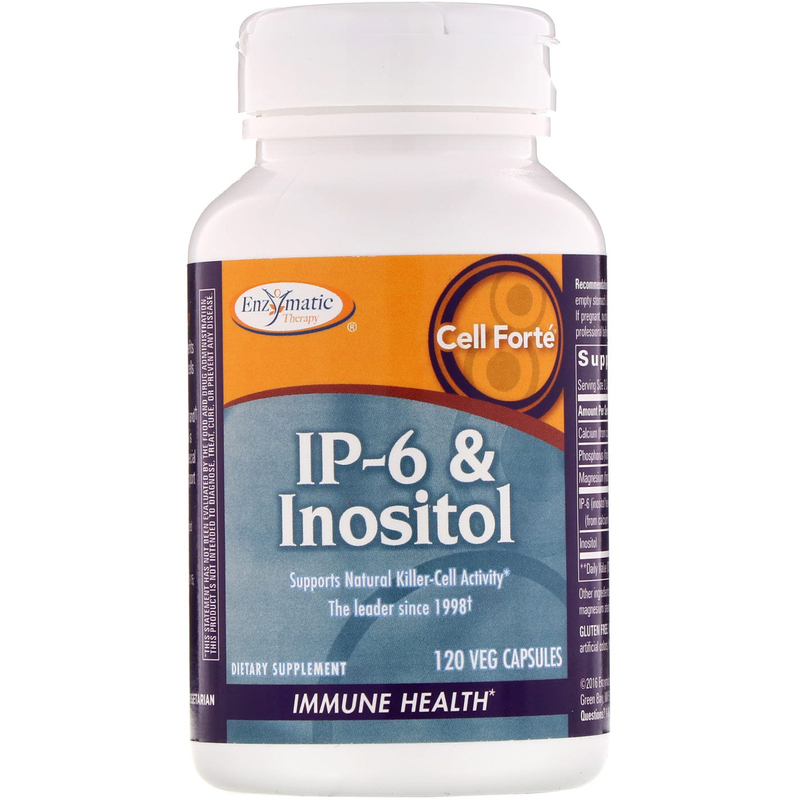 IP-6 & Inositol provides valuable health benefits by increasing levels of phosphates in your cells to support your immune system. While IP-6 is found in rich bran and other foods, there are good reasons to take an IP-6 & Inositol supplement. First IP-6 is better absorbed in pure form without any competition from proteins and other nutrients. Besides, IP-6 is often lacking in foods that have been processed since IP-6 is usually found in the bran or hull, which is often milled away. Why Supplement with Enzymatic Therapy Cell Forté IP-6 & Inositol? Entrusting your immune health to the #1 Brand† is just plain smart. Call Forté IP-6 & Inositol is the best-selling brand since 1998†. 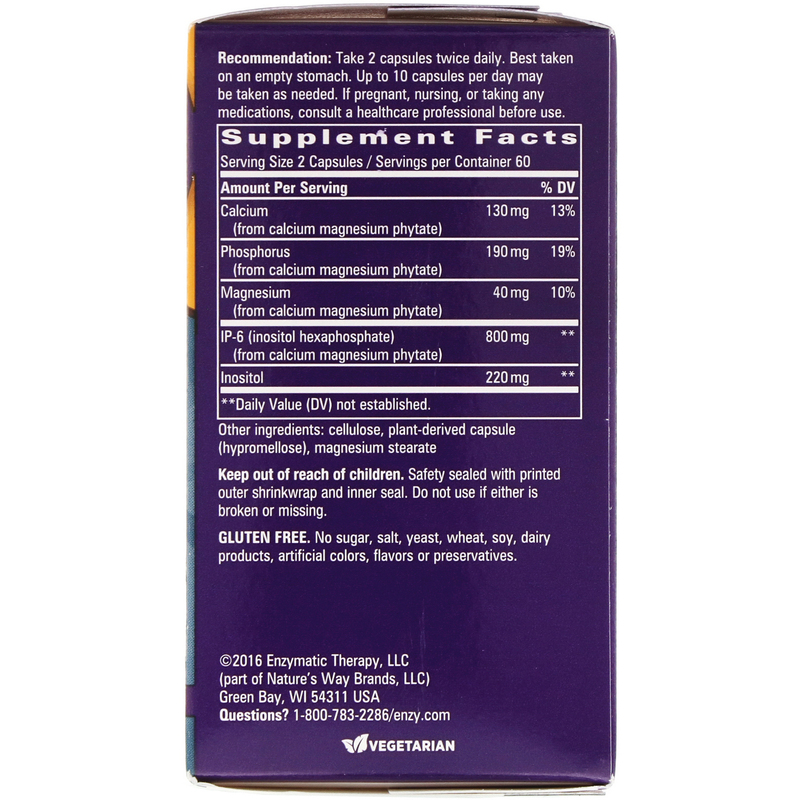 This special blend of IP-6 and Inositol is designed to support your overall immune health. It's time to take action toward supporting your immune health with the powerful protection of Call Forté IP-6 & Inositol, the leader since 1998†. For maximum effectiveness, IP-6 (found in the rice bran of brown rice and other foods) and inositol (part of the vitamin B family) are featured together in a unique, powerful ratio found only in Cell Forté IP-6 & Inositol. 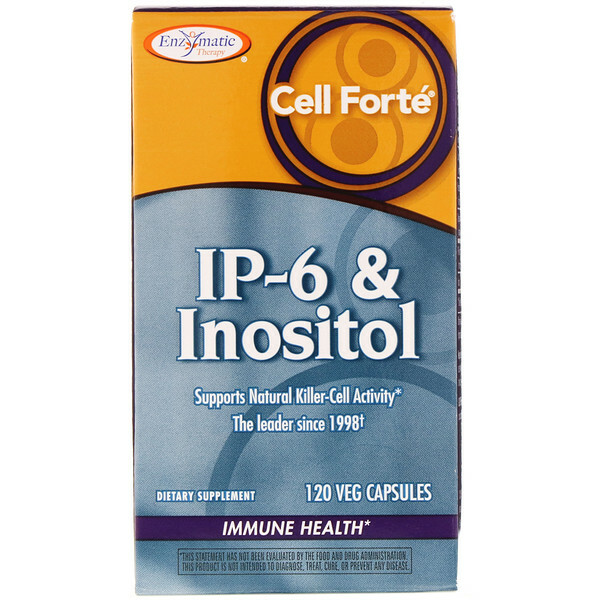 Call Forté IP-6 & Inositol supports natural killer-cell activity and overall immune function. Take 2 capsules twice daily. Best taken on an empty stomach. Up to 10 capsules per day may be taken as needed. If pregnant, nursing, or taking any medications, consult a healthcare professional before use. Cellulose, plant-derived capsule (hypromellose), magnesium stearate. Gluten Free. No sugar, salt, yeast, wheat, soy, dairy products, artificial colors, flavors or preservatives. Keep out of reach of children. Safety sealed with printed outer shrinkwrap and inner seal. Do not use if either is broken or missing.